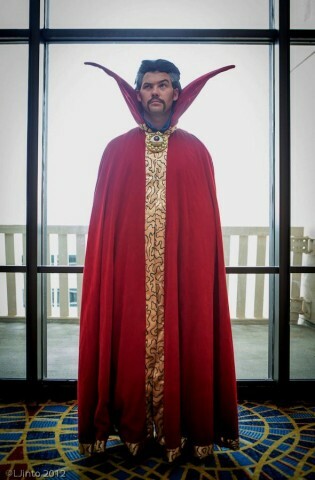 Enchanting Doctor Strange Cosplay « Adafruit Industries – Makers, hackers, artists, designers and engineers! Benedict Cumberbatch made news over the last few days because set photos showing him in costume as Doctor Strange leaked. Some of the photos weren’t really leaks though because Cumberbatch stopped by JHU Comic Books in the costume (see a picture from his shopping excursion below). 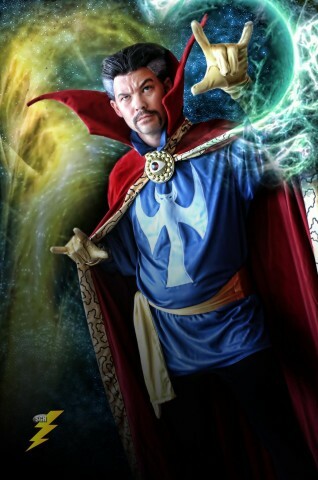 Cumberbatch’s appearance means it’s a fine time to look at the work of an awesome Doctor Strange cosplayer. Redditor loganallenwolf has dressed like the magical character from Marvel Comics for years and has done at least two variations of Strange’s outfit. Logan Allen Wolf’s work matches the pages of comics closely. The film version is slightly different but stays pretty true to the source material.